I can't help it, I'm a numbers person. Being a math major and spending my career in IT, my natural inclination to analyze things is enhanced by years of training. 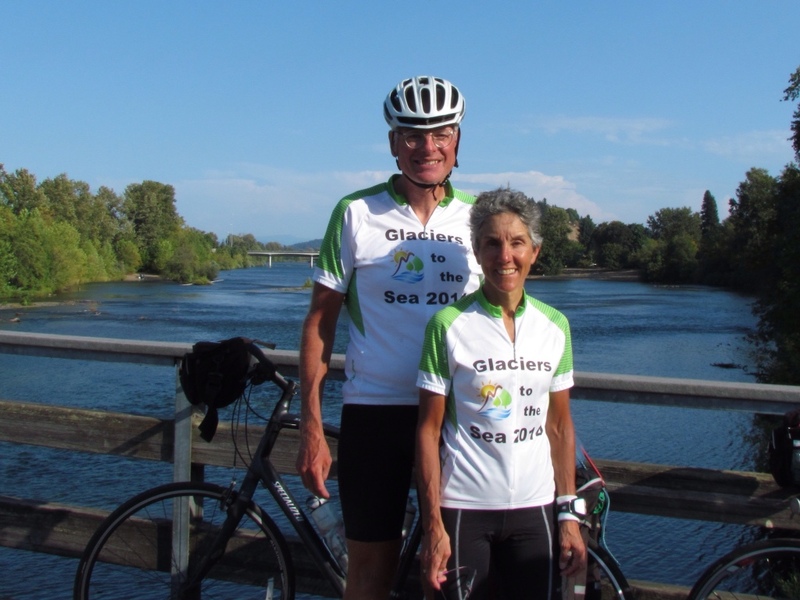 So in looking back on our Glaciers to the Sea cycling tour, I just have to break it down by the numbers. 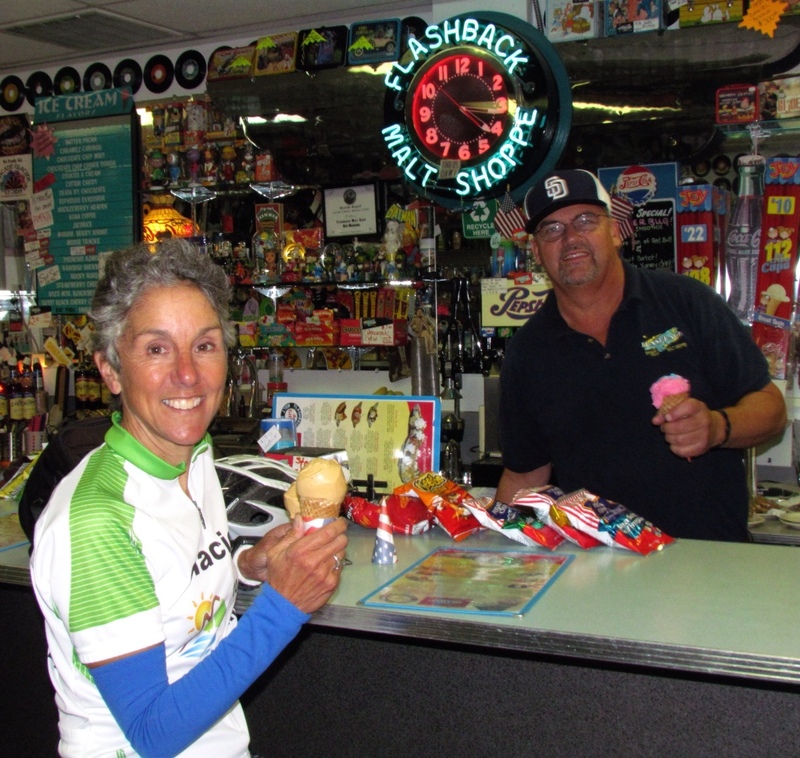 Our cycling tours are focused on enjoying the ride, not racking up the miles each day. We planned to do roughly 50-55 miles a day, and we came pretty close. This allows us to take a mid-morning break for either our first or second breakfast, see sights along the way and finish cycling around 3:30 in the afternoon. We enjoy having some downtime at the end of the day. We aren't very good at taking rest days. The only days we stayed off our bikes on this trip were those spent visiting family and friends, which we intended to serve that dual purpose. 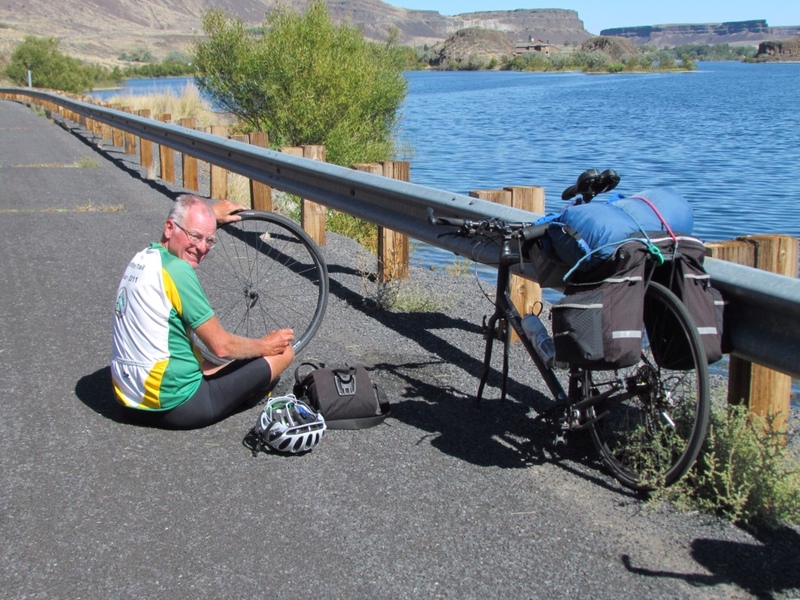 Our first rest days were 18 days into the trip when we visited Rich's brother Stewart and his wife Kathy in Eugene for 2 days. Our third was day 28 which we spent with my friend, Anne, in Olympia. Weather-wise this trip was fantastic. We had day after day of amazingly beautiful weather. Temperatures were nippy in the mornings, but they almost always rose to warm and sometimes downright hot during the day. I loved it! Wind is a huge factor in cycling. A headwind can take miles off our speed. 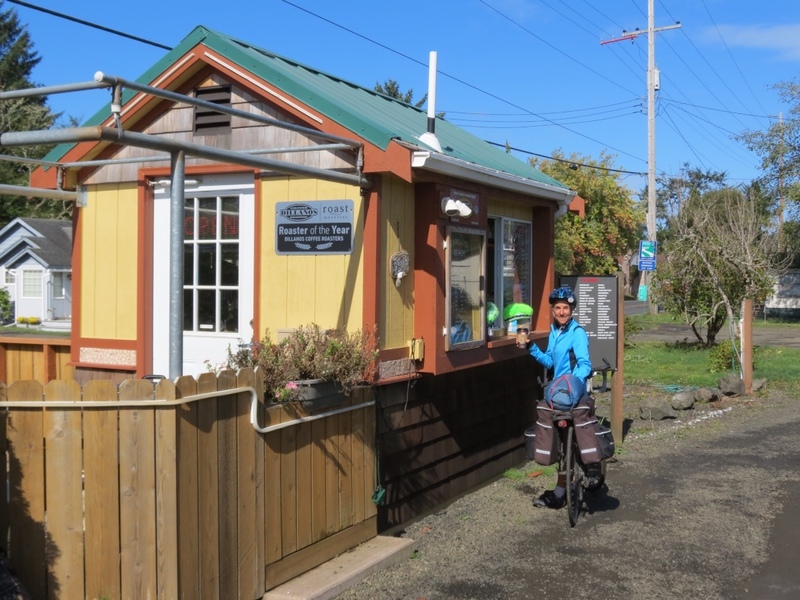 We knew that we were cycling against the prevailing winds, going west and then north up the coast. But we beat all the odds. It was a cyclist's dream. One of our goals was to spend less than 50% of our nights in motels. Thanks to the boost from bunking in with family and friends, we exceeded this target for our 30 nights. I'd still like to up the amount of camping we do, but I won't complain about having a few creature comforts. 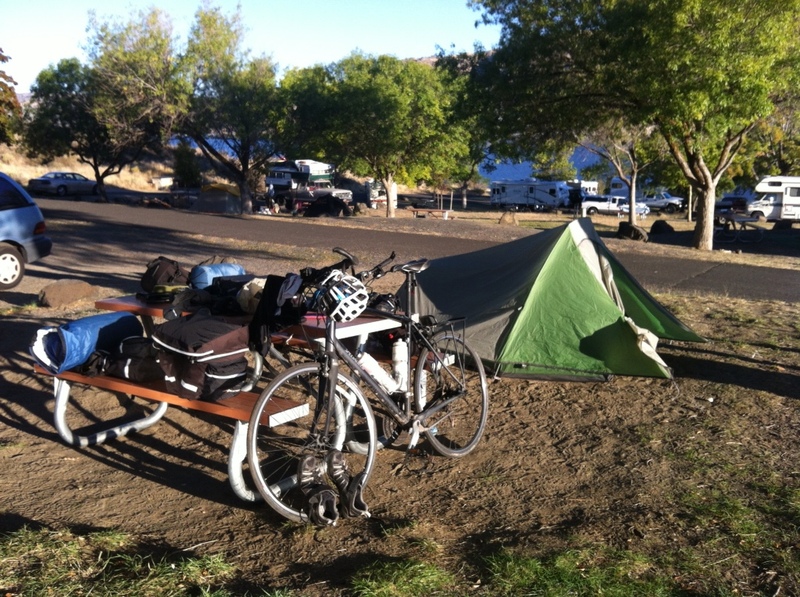 Our Specialized Touring bikes are trusty steeds indeed. We have had a great track record for avoiding serious breakdowns on all of our trips, and this one was no exception. The only equipment failure that would have been a show stopper happened within range of one of the few large towns we visited. While I don't have hard facts on this one, there is no doubt that lattes outnumbered ice creams on this trip. Little drive-through coffee huts abounded in even the smallest of towns, and good coffee shops were also in abundance. My caffeine needs rarely went unattended. Yet humble ice cream shops were at a premium. In fact, we didn't find a single truly Mom and Pop ice cream stand. We managed to fill in with ice cream offerings in other establishments, but there was truly a deficiency in dairy delights. Yes, there is only one conclusion. It was a most successful and enjoyable trip. No matter how I slice and dice it, the numerical score for this cycling tour is 100%+. 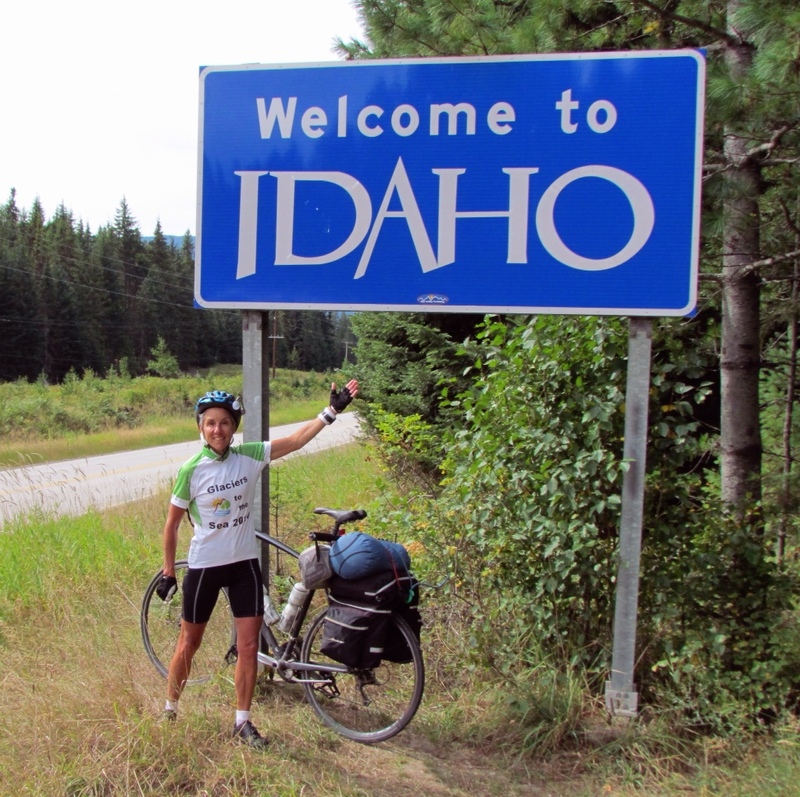 This entry was posted in Keeping Fit, Travel and tagged Cycling, Cycling Trip, Glaciers to the Sea, Ice cream, Travel by Molly. Bookmark the permalink. Would this be acceptable and will you provide me with your permission, please? Also, if it is acceptable, how would you like me to credit the photo in the slide?